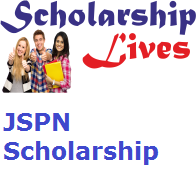 Jaya Satya Pramoda Nidhi is going to activate the JSPN Scholarship 2019 Online Application form for all the students who are pursuing class 11th, 12th, BE, BAMS, Dental, Medical, and professional courses. The main objective of this scholarship scheme is to support the students and provide a scholarship award to complete their higher education. Self-attested photocopy of 10th mark sheet. Self-attested photocopy of last year mark sheet (i.e. two semesters mark sheet). Xerox copy of aadhar card. Xerox copy of the first page of passbook/ canceled cheque. Xerox copy of college fee receipt of 2018-2019. Xerox copy of admission letter. Students have a good academic background are eligible for this scholarship. Students who are pursuing in class 11th, 12th, BE, BAMS, Dental, Medical and professional courses are eligible to apply. The team member of the Jaya Satya Pramoda Nidhi is going to the select the young talented candidates on the basis of merit and financial background. Now, fill up the details and press on “register” button. After the successful registration, students will get the confirmation message. Then check your email and right down your “JSPN SID” and activate your account through email and login using your registered email ID and password. After that fill all the essential details in the application form and submit it.